If there was an award for most improved, Siyo would arguably be the lead contender when it comes to Irish battlers. Having honed his skills in the Irish DFI Battle Leagues, Siyo has become a serious problem to battlers looking to face him. The Irish league is renowned for it’s focus on jokes, personal slags and hilarious punchlines, and Siyo unleashes them thick and fast in this battle, leaving no stone unturned as he bombards Bowski with fat joke after fat joke, interspersing it with a restbite for some Anti-British vitriol. Big Siyo does the DFI league proud in this battle in will no doubt have won many new fans across the water. Check out the battle below. 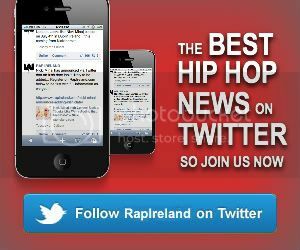 RapIreland.com is your #1 source for celebrity news, gigs, exclusive videos and all the latest in the world of hip hop and R&B music.